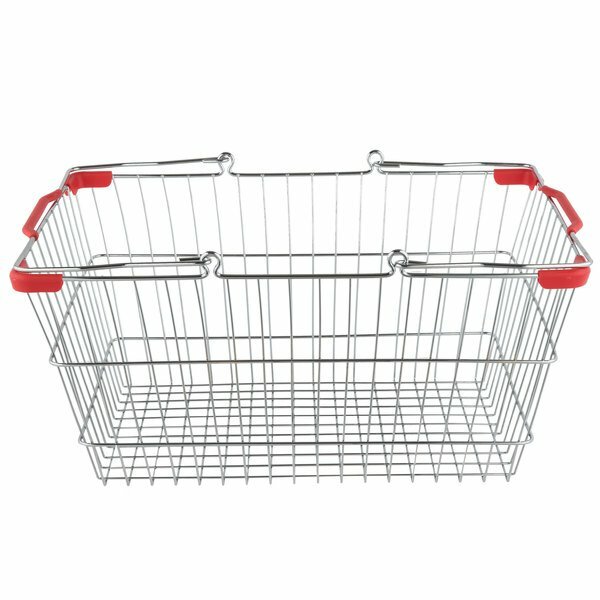 Provide your customers optimal shopping convenience with this 18" x 13" chrome shopping basket! A perfect addition to delis, supermarkets, convenience stores, and any other retail operation where carrying assistance is needed, this basket is just what your shoppers are looking for! 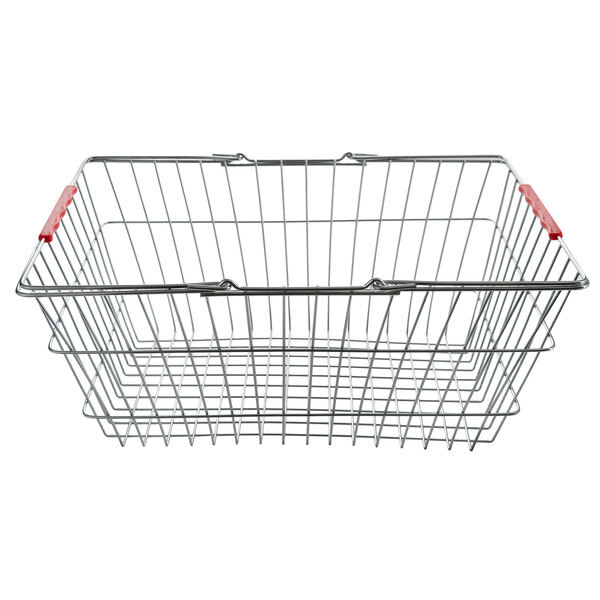 Made of durable, easy to clean chrome-plated metal, this basket is built to last through the multiple daily uses in your highly trafficked establishment. Ideal for the shopper looking for a few quick purchases, this basket allows them to get in and out without having to push around a grocery cart! Also, the holes in the basket prevent any spill or water build up, especially if your baskets are stored in an outdoor location. This basket features two handles that offer even more sturdiness and support, making it much stronger than traditional baskets with plastic handles. 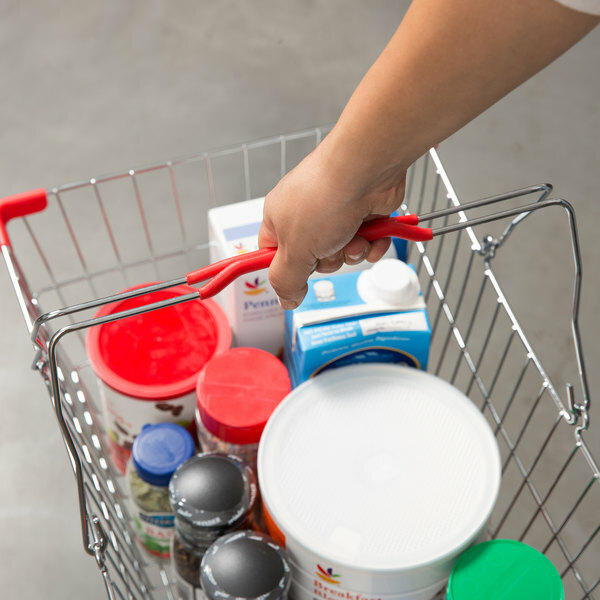 Plus, each handle has a red grip for your customers' comfort while holding the shopping basket. These baskets also nest together for easy, space-efficient storage, taking up less floor space. 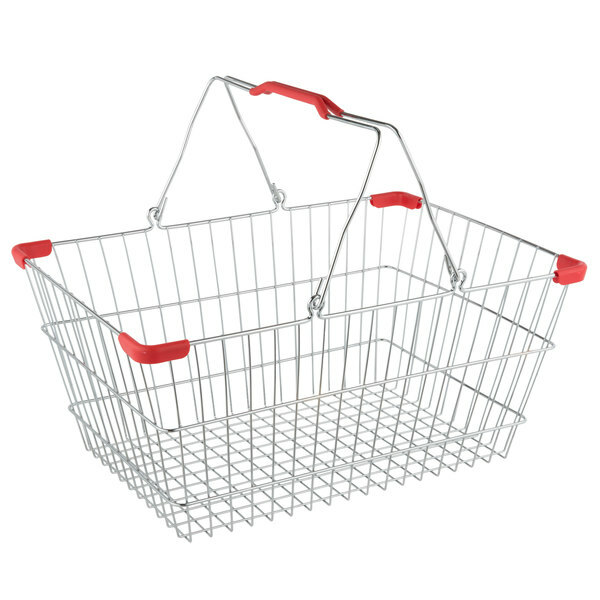 The Chrome Grocer Market Shopping Baskets are a nice quality. They shipped quickly and are meeting our needs. Will probably purchase these again in the future. An awesome basket that is strong and sturdy and built to last. It is so much stronger than the plastic version that crack easy. These will not buckle with heavy items, and we love the industrial look. 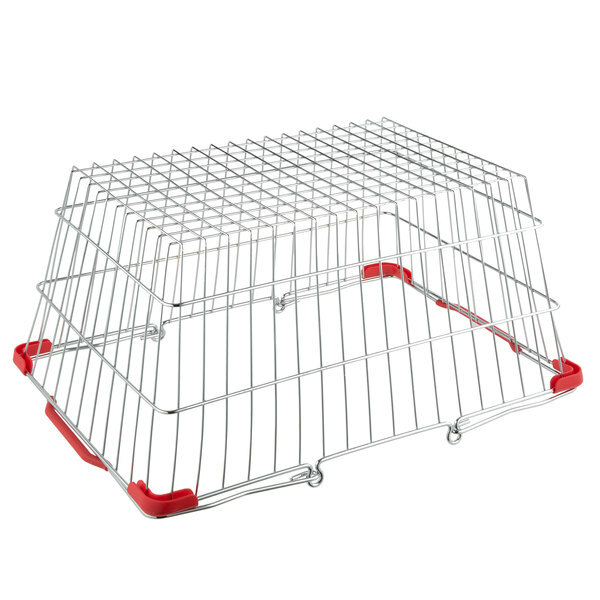 These baskets are high quality and very durable! I love the industrial look over the plastic baskets. Overall a great product and I highly recommend! This shopping basket is working out great for me. I use it when I go to the farmers market every week. It is very strong and very big. Sooo happy with this purchase. We use these in our farm store for folks to gather frozen products with. They are just the right size and work great for what we use them for. 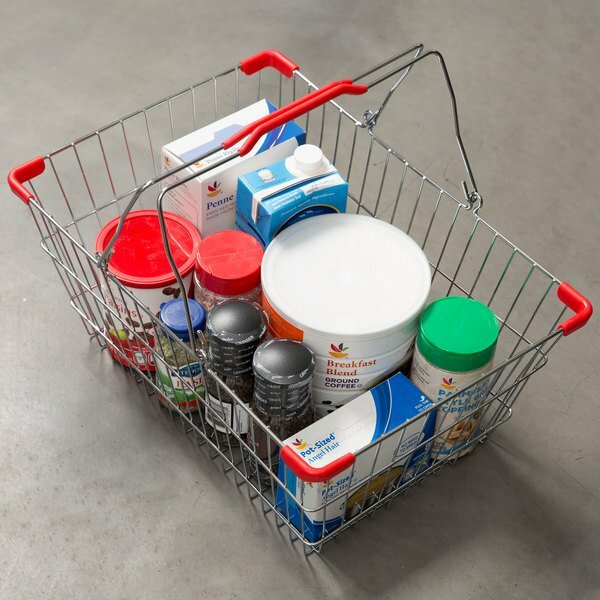 Wonderful Shopping Basket, I use them for multiple purposes. I transport a lot of frozen food from one area of the home to the kitchen. I have 2 pantries and when i am preparing to bake of cook I simple fill these up and transport my supplies from pantries/freezers to workstations. They prevent frozen fingers and lots of mishaps. They are very strong. And easy to clean. I have had these for about 8 months now and use them frequently, they look brand new. Thanks for putting out such a wonderful product. 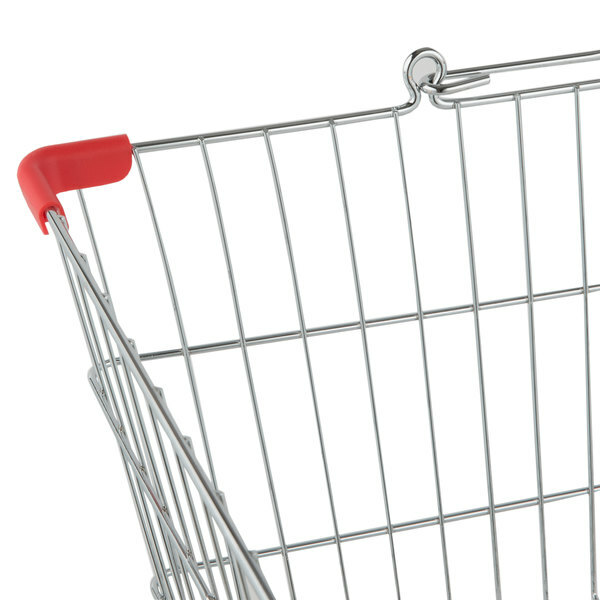 Try this Regency 18" x 13" x 8" Chrome Grocery Shopping Basket with Red Handles. This basket is a perfect addition to delis, supermarkets, bodegas, and any other retail operation where carrying assistance is needed. 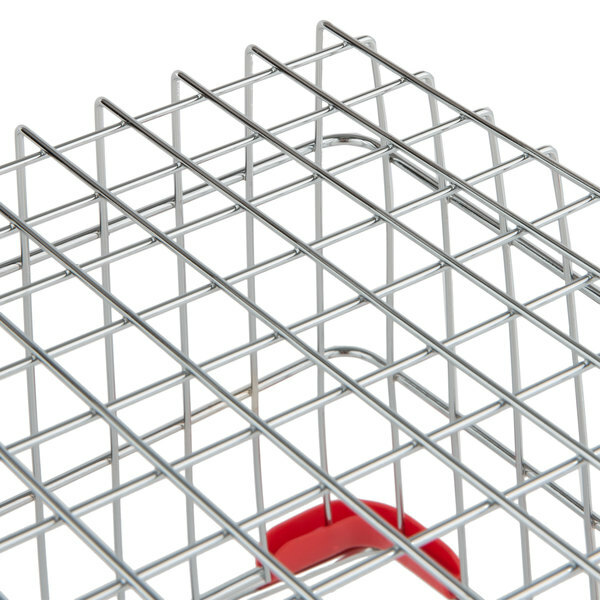 This basket is built to withstand frequent use in your busy, high-traffic establishment, thanks to its durable chrome construction.